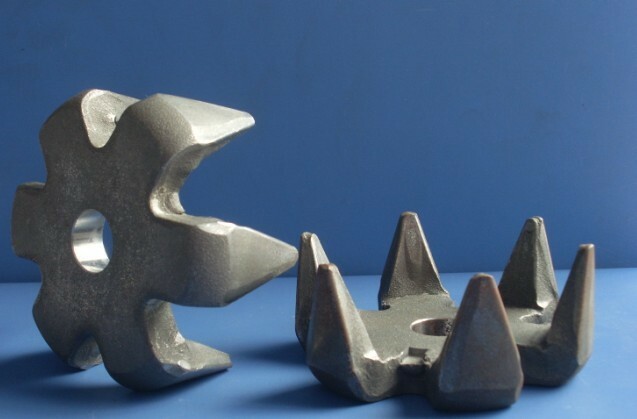 Forging is a manufacturing process where the metal is hammered, pressed or rolled under high, localized pressure and shaped into high strength parts known as forgings. This metal working method has been in use for centuries and was traditionally deployed in the manufacture of tools, weapons, kitchenware and jewelry. During the forging process, the coarse grain structure of the metal is broken down into finer grains, and a grain structure that is better aligned towards the desired directional strength can be obtained; in addition, gas porosity and low-density/empty spaces may be removed, and cracks sealed during the process. 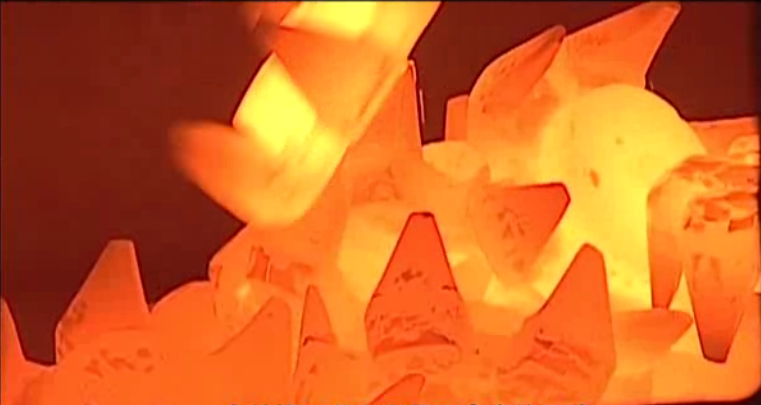 Forging thus produces parts that are much stronger than those produced by any other metal-working process. Forgings are therefore widely used in applications where great strength is required and reliability and human safety are critical. Why Fly Forge for Your Supply of Claw Poles? Fly Drop Forge is experienced in forging claw pole with high precision and high quality. The steels used are carefully testing by our technical staff, and our professional precision forging technology improve the quality of material utilization and the forging quality. The internal organization of claw pole after forging shows great working performance with good output power, which meet the demand of saving energy and reducing consumption for global enterprises. Fly's unique combination of tool and die design and development, and capabilities within the one location gives us a competitive edge. Our plant facilities include closed die forging, precision machining, heat treatment, and surface coatings. Our objective is the provision of a low cost total logistics service to existing and potential clients. Through the establishment of strategic alliances with each of our customers we implement collaborative long-term demand forecasting to accurately determine the support inventory of products necessary for our customers to maintain continuous operation of their respective businesses. This process is further enhanced through our workforce's commitment to flexibility and high levels of productivity; strict accountability for compliance with our process control system through all stages of competitive tendering, customer order entry, production planning, tooling design and manufacture, product manufacture, process scheduling, final inspection, delivery to the customer, invoicing and payment, and ongoing in-service support. also is it possible to do flashless forging on press?